Really? Did I just wake up in the 1980’s? Should I be surprised that this kind of call happens today? Surely we’ve all moved on from beating “prospects” into submission? Where’s the dialogue? Where’s the understanding of my needs or interest? An opening question to establish my level of interest in the event, or even the sport, and then to flex the pitch accordingly might get a better result. As would, I suspect, a more conversational tone instead of the faux whipped up excitement – or perhaps it’s only me that’s immune to that (or maybe just plain cynical)? 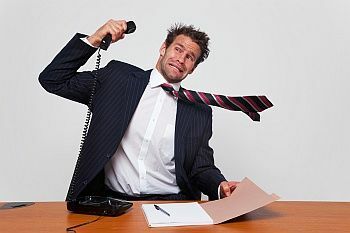 Like most offices we’re on the receiving end of several cold sales callers a day – they range from the barely coherent to the highly professional, although the large majority are pretty poor. If we’re in sales (and most of us are in one way or another) we need to think hard about the effectiveness of our processes. I wrote recently about the lacklustre style of many sales people at an exhibition. This morning’s call was anything but lacklustre but, for this audience at least, was equally ineffective. I like sales people. I meet enough of them (and I’m one myself, of course) and sales is a pretty tough gig most of the time. And, dare I say it, I like to be sold to by a professional approach with a well-thought out, appropriate proposition, that adds something to my business, or me personally. But this call, for me at least, demonstrated all that is awful in a blanket, numbers-driven sales approach. I don’t blame the caller – he’s obviously working to a script and strict instructions from his employer, and he’s trying his best. But the firm he’s working for surely needs to recognise that sales techniques have moved on and there’s no room for such out-dated methods today? What do you think? Am I alone in being unmoved by this style of approach and is it time to ditch the hard sales techniques forever? What works for you, both as a seller and a buyer?